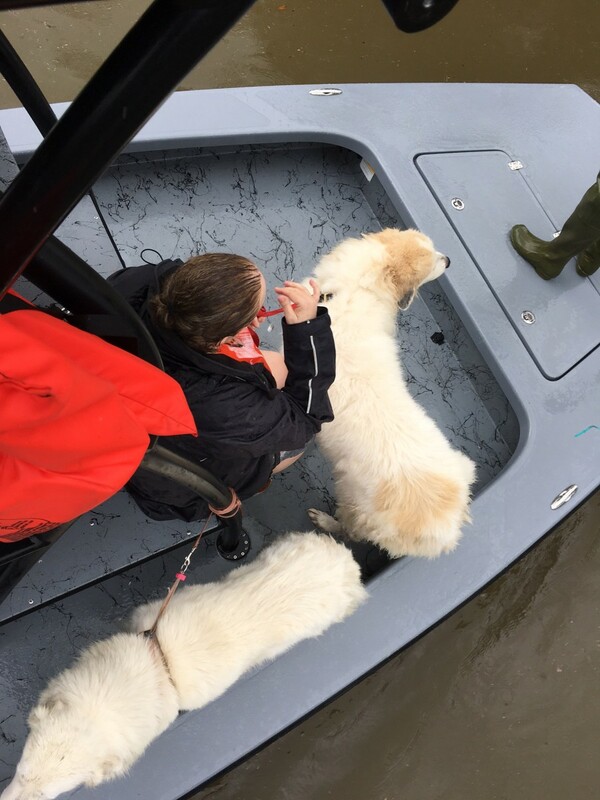 A woman and her two dogs were rescued in Pearland, Texas, by Dwayne Eschete, a member of Yamaha Marine’s Pro Fishing Staff. He and two additional members have been rescuing people in shifts of 12 to 14 hours. Brunswick Corp., Bass Pro Shops and Yamaha Marine Corp. have been helping with Tropical Storm Harvey efforts by providing boats and motors, as well as working with area dealers. In addition to supplies, members of Yamaha Marine’s Pro Fishing Staff are rescuing people trapped in the unprecedented floodwaters using their own boats, said Tournament, Sponsorship and Pro Staff Manager David Ittner. Caleb Harp, Chad Kinny and Dwayne Eschete were working anywhere from 12 to 14 hours with few breaks in between, Ittner told Trade Only Today. A text message from Eschete Tuesday night urged people who want to help to send food. “Just to let people know if they want to help out. National guard, Coast Guard, police, fire dept, ambulance service. Has no food. I&apos;m cooking 20# of jambalaya to bring tonight,” Eschete said. “They said you’d pass a house, and a person would be screaming and you know you can’t put another person on your boat,” Ittner said, echoing what 22-year-old Kyle Holmes told Trade Only. Ittner, who took a call from Harp as he spoke with Trade Only, said Harp and his team had just finished rescuing people trapped in Baytown, Texas. “They pretty much cleaned up that area,” Ittner said. Companies were also sending supplies to affected areas. Mercury Marine has provided numerous engines and RIBs and is working closely with area dealers, Brunswick spokesman Daniel Kubera told Trade Only Today in an email. 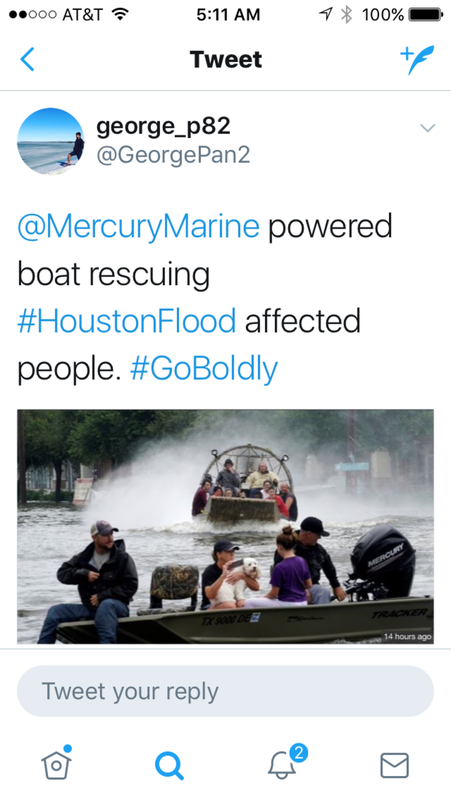 A Mercury Marine-powered boat is shown at work in Houston. Lowe sent several truckloads of boats from its Missouri plant to Houston to be deployed to the National Guard and other local agencies, Kubera said. “As part of providing these boats, which were fully rigged with Mercury engines, Lowe employees gave generously of their time and talents to prepare and expedite the shipment,” Kubera said. Mercury Marine fulfills an order for the Texas National Guard. Mike Schueren (left) operations supervisor; Amanda Johnson, account specialist; and Derek Gould (Mercury Marine lead) are shown. 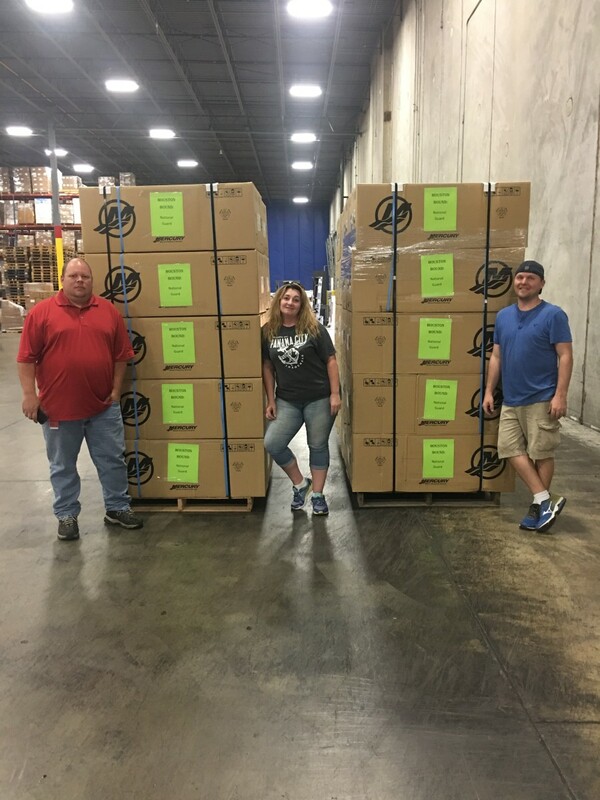 Brunswick Commercial & Government Products donated three boats to the Hurricane Harvey relief efforts in Texas. 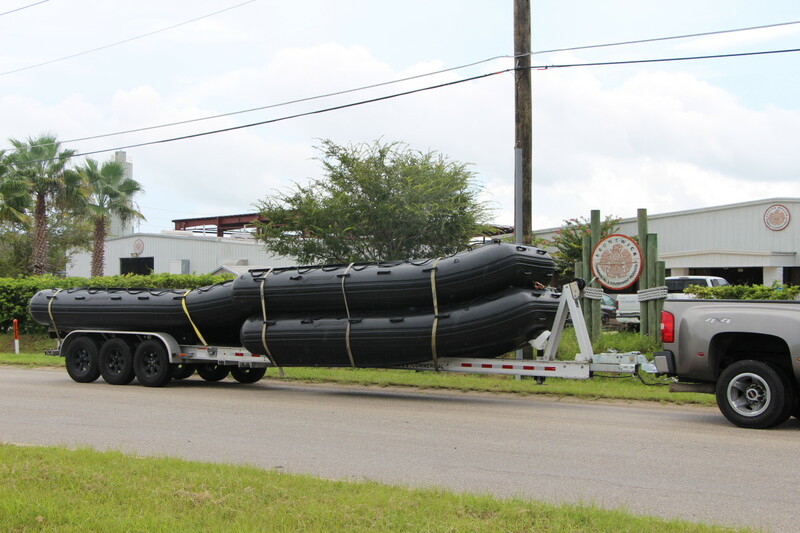 The three 15-foot inflatable boats will be operated by first responders and local law enforcement in Texas and will aid in search-and-rescue missions where flooding has forced thousands from their homes. Brunswick Commercial & Government Products donated boats to the relief effort. Yamaha also sent four boats in addition to a Skeeter boat, said Martin Peters, senior manager of marine communications and government relations. Bass Pro Shops is providing more than 80 Tracker boats to support rescue and relief operations in the wake of Harvey, according to Fox News. The state command center in Texas has also identified a scarcity of life jackets, Kubera said, so Brunswick-owned Land ‘N’ Sea rushed life jackets to Houston from some of its nearby warehouses. “Land ‘N’ Sea’s Houston warehouse remains idle, as roads leading to and from the facility are flooded and closed to traffic,” Kubera said. Brunswick has also set up a hotline for employees in the area and continues to contact employees to monitor their status. “Similar to actions taken during Hurricane Matthew, a Category 5 hurricane that hit Florida and the East Coast in 2016, Brunswick is staging water, cleaning supplies and other essentials to eventually aid employees with their personal recovery efforts,” Kubera said. “This is in addition to gathering various supplies that may be needed to restore company operations in the area, which include a Land ‘N’ Sea warehouse, as well as helping dealers in the area restore operations as quickly as possible,” Kubera said. Bass Pro is also donating $40,000 in supplies, including protein-rich foods such as beef jerky and peanuts for those in the field, according to Fox. The truckloads of supplies will support the American Red Cross and Convoy of Hope, a group based in Bass Pro’s hometown of Springfield, Mo. The National Marine Marine Manufacturers Association said it received information from the National Association of Manufacturers on how best to help. “For any individual or company that would like to support the response and recovery efforts, NAM recommends you do so via the American Red Cross,” the NMMA said. Texas is a significant boating state, ranking second, just behind Florida, for total new boat, engine and accessory sales at $1.4 billion in 2016, according to NMMA&apos;s Statistical Abstract. There are about 573,000 registered boats in Texas.